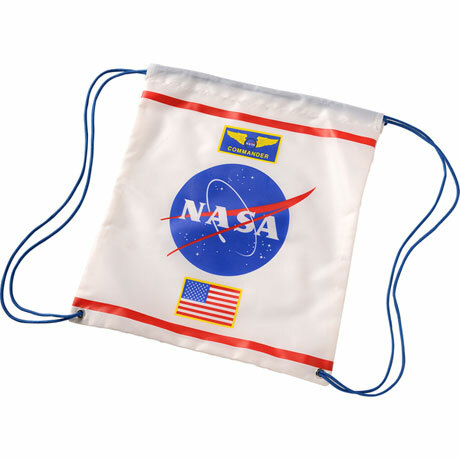 Adorable Astronaut Drawstring Pack Back transforms your little angel into the next Neil Armstrong. 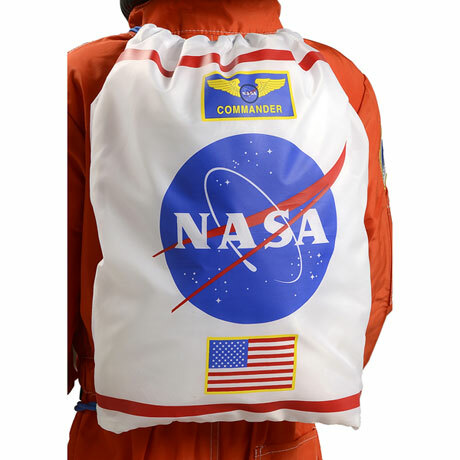 Just like the back packs worn by real astronauts, this 100% polyester white drawstring back pack was designed with little firefighters in mind. Made for everyday use whether it's hiking up a mountain trail or hiking from the school bus to the classroom, quality construction ensures that this back pack will last. For ages 3 and up. No rush delivery or gift box. Please allow 2-3 weeks for delivery. Item can only be shipped within the Continental US.